After exactly 50 weeks since she captured her fourth Wimbledon crown, Serena Williams, the number seven seed at this year’s Wimbledon Championship, will take to Centre Court for her first round matchup against France’s Aravane Rezai. In the second round of last week’s Eastbourne tournament, Williams forced the current world number two, Vera Zvonareva, to battle hard before losing in a closely-fought three set encounter. Her absence from the tennis world may leave Williams at a lower fitness level than other players, but she will be a force to be reckoned with in the draw. Together with Williams in the top half of the draw is world number one-ranked Caroline Wozniacki who will be looking to win her first Grand Slam title. However, Wozniacki’s 2011 Wimbledon campaign will not be a simple affair, as the 2004 Wimbledon champion, Maria Sharapova lurks in the top quarter. Sharapova’s performance over the past two years has been hampered by a reoccurring shoulder injury. However, indications are that the Russian has fully recovered and will come to the lawns of SW19 full of fight and confidence. Should she come out on top in her first round match against fellow Russian, Anna Chakvetadze, Sharapova will play the winner of the encounter between former junior Wimbledon Champion, Laura Robson and Germany’s Angelique Kerber. Li Na, the 2011 French Open champion, joins the competitive top half of the draw and will start her 2011 Wimbledon run against Russia’s Alla Kudryavtseva. However, Na’s second round matchup will be anything but simple with Germany’s Sabine Lasicki entering the tournament having won the AEGON Classic just a week ago. Lasicki reached the quarterfinal in the 2009 Wimbledon and has won 10 of her last 11 matches on grass, making her a dangerous floater in this year’s draw. Two American youngsters also look to impress in the top half of the draw. Melanie Oudin takes on Serbia’s Ana Ivanovic in her first round match, while Coco Vanderweghe plays Greece’s Eleni Daniilidou. If both should win their first round encounters, the two will battle each other in an all- American second round affair. Other notable names in the top half include Poland’s Agnieszka Radwanska who faces Olga Govortsova and Marion Bartoli who will play a qualifier. A favorite to win the tournament, Russia’s Zvonareva takes the top seeding in the bottom half of the draw. She will play a talented American, Alison Riske, in the first round. Riske made herself a presence on the WTA Tour at last year’s AEGON Classic, where she qualified and battled all the way through to the semifinals. Joining Zvonareva in her quarter is the number eight seed, Petra Kvitova, who reached the semifinals at last year’s Wimbledon. 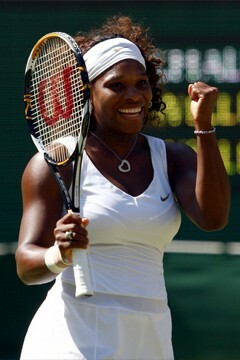 Other possible threats include Serbia’s Jelena Jankovic and the number 23 seed, Venus Williams. The number six seed, Francesca Schiavone, also finds herself in the bottom half of the draw where she plays Jelena Dokic who has caused her fair share of upsets in the past. Joining Schiavone in her quarter is Daniela Hantuchova of the Czech Republic who seems to be back on form and will play a qualifier in her first match. Other players to watch in the bottom half are young Russian, Anastasia Pavlyuchenkova, and the number four seed, Victoria Azarenka.